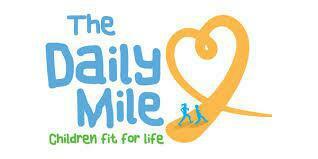 The aim of the Daily Mile is to improve the physical, emotional and social health and well being of our children. Getting children active at a young age is key to setting them up for a healthy lifestyle. The Daily Mile is so simple. There’s no set up, tidy up, or equipment required. Children simply run outside in the fresh air. It’s fully inclusive; every child, whatever their circumstances, age or ability, succeeds at The Daily Mile.